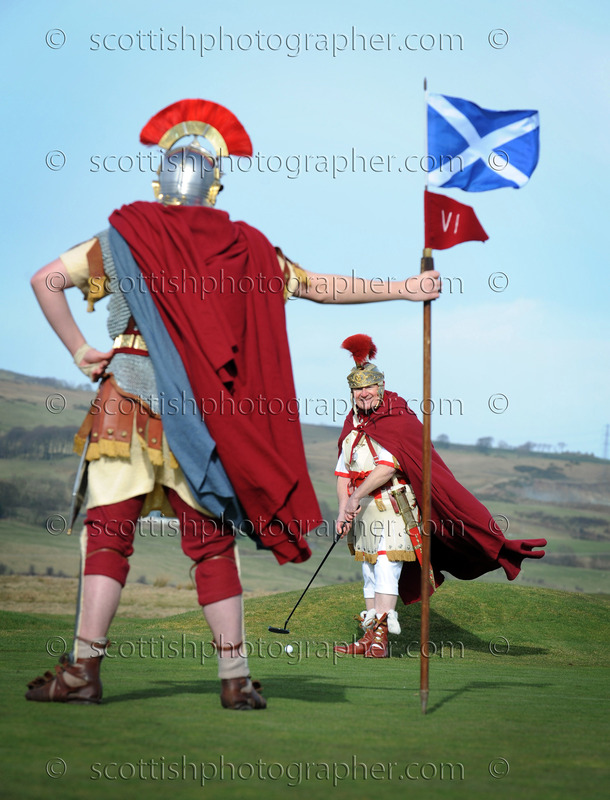 The Eagle – Roman Centurions playing golf. One of the more unusual, but fun pix I have done this year. My client said we’re promoting a new film shot in Scotland about the Eagle of the Ninth, (Roman legion who disappeared in Scotland). Now this is where local knowledge has come in to play. (I am originally form Cumbernauld). I was aware that the Antonine Wall runs through the Westerwood golf course. 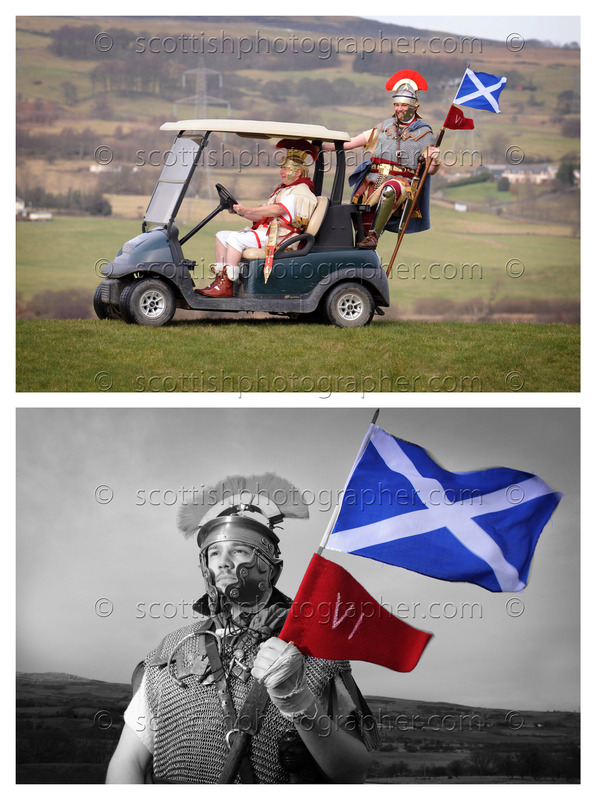 So came up with a great idea Roman Centurions on the golf course going for an eagle at the ninth! So I went along and did a reccie, I couldn’t believe my luck when I found out they had moved the greens around a few years ago. The ninth now runs along the Antonine Wall within a few meters. Scotland is hoping to entice more visitors as it hits the big screen in another Hollywood movie, The Eagle, which is released in the UK on 23 March. VisitScotland has teamed up with Universal Pictures for the first time to attract more visitors to Scotland on the back of the movie, some of which was filmed on location around Scotland. One of the most anticipated films of 2011, The Eagle is set in Roman Britain in the 2nd century, telling the story of a legionary’s quest to restore the reputation of his father, the commander of the Ninth Legion, which is said to have disappeared without a trace in the uncharted highlands of Caledonia. Cold but sunny day, and glad I was not wearing the Centurion outfits. And thanks to Aaron & John for being great sports.